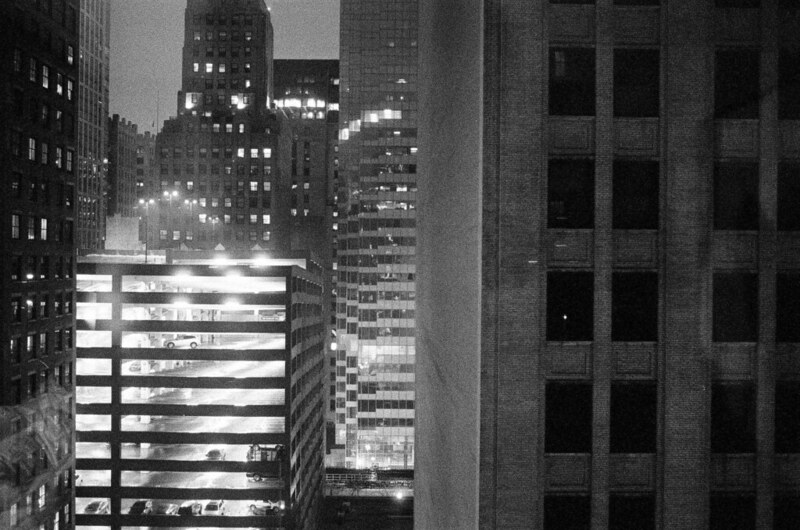 I just love how much definition the T-Max P3200 delivered at night through our Chicago hotel window. Just look at the cars in the glowing parking garage! They’re so clear you can almost tell what make and model some of them are. 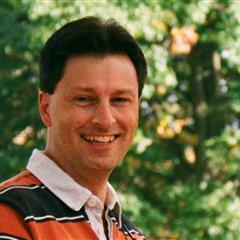 If you’re looking at this on a computer monitor rather than on your phone or tablet, you can see how even at this larger size the considerable grain doesn’t detract at all from the image. 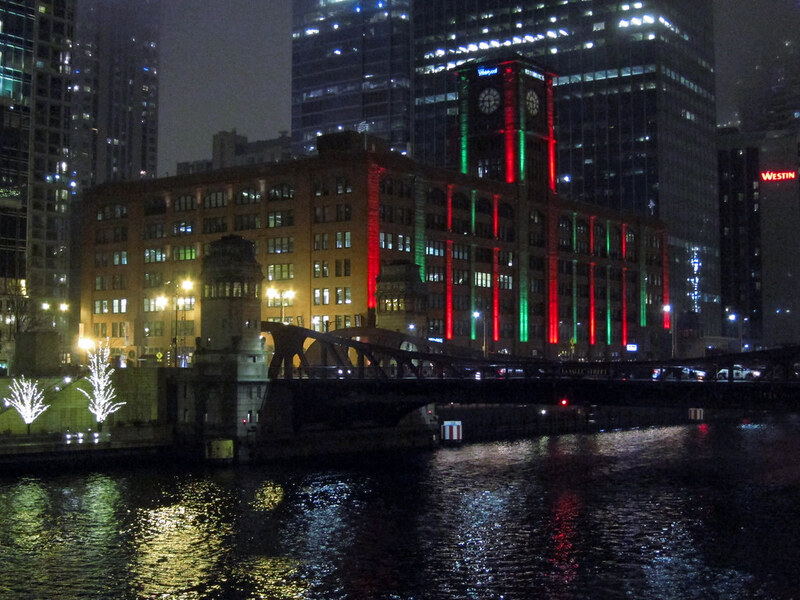 On our recent long weekend in Chicago, the town was all decked out for Christmas. 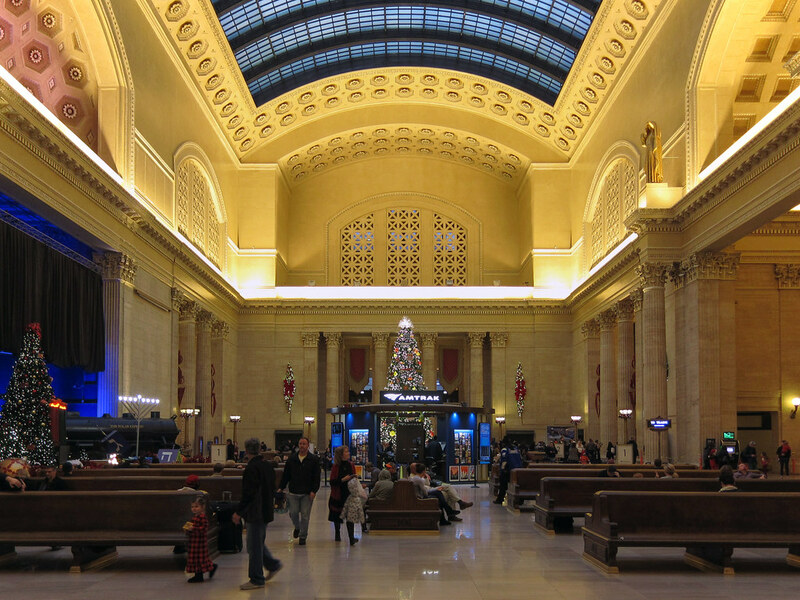 We’d never been to Union Station before, so we stepped in to see its stunning Great Hall. 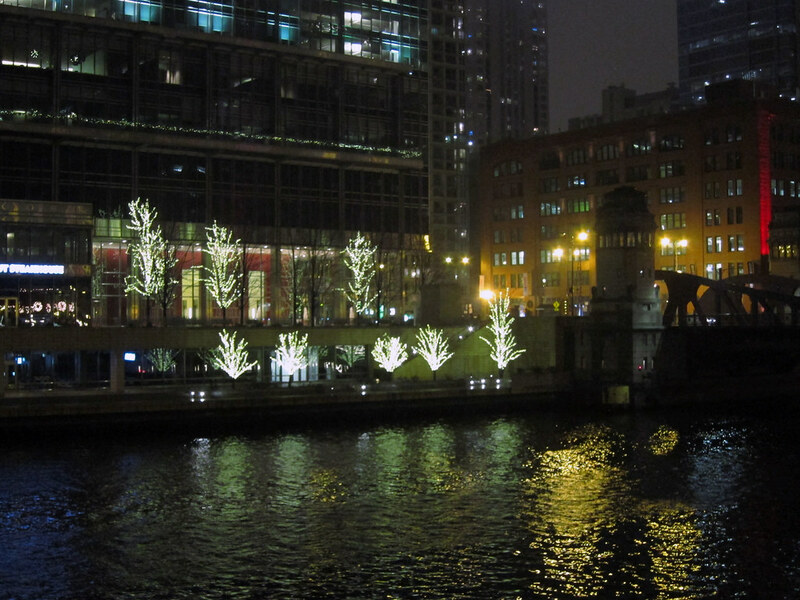 I can’t imagine all the work the city has to put in to wrap so many trees with little lights. 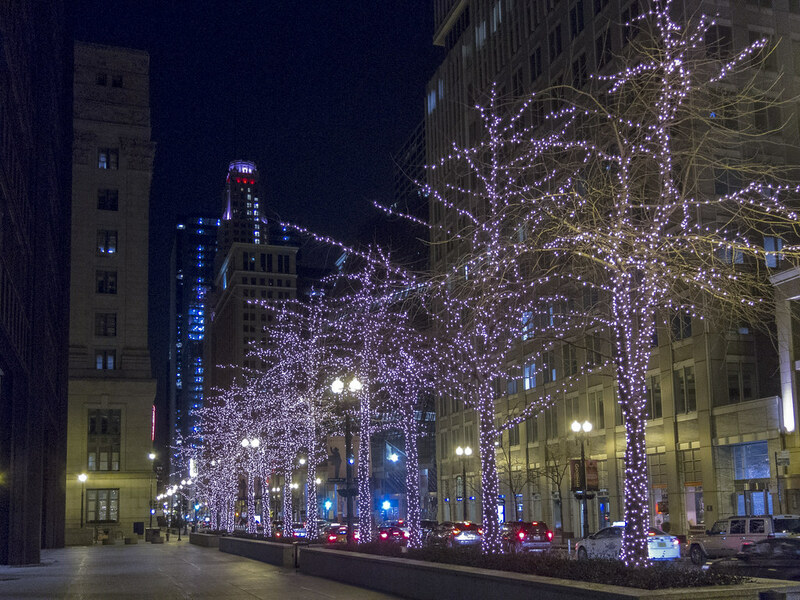 The trees are lit on street after street in the Loop. We walked north across the Chicago River for dinner. 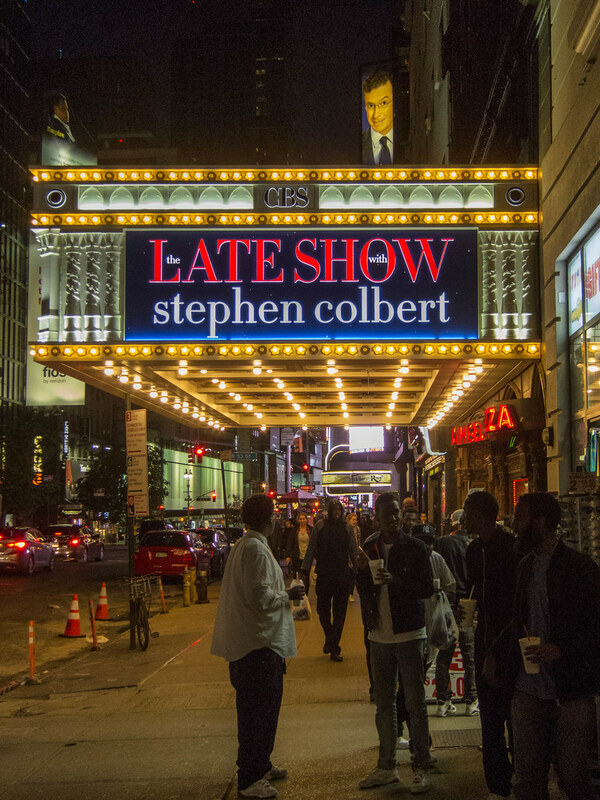 The buildings along the river were lit in red and green, and terraces were strung with lights. I live in a small Indiana town that seriously decorates its downtown for Christmas, and it’s charming. But it can’t touch what Chicago has done if for no other reason than its sheer scale. Come back Christmas Day and I’ll show you photographs of the giant Christmas tree in Millennium Park. It’s stunning! 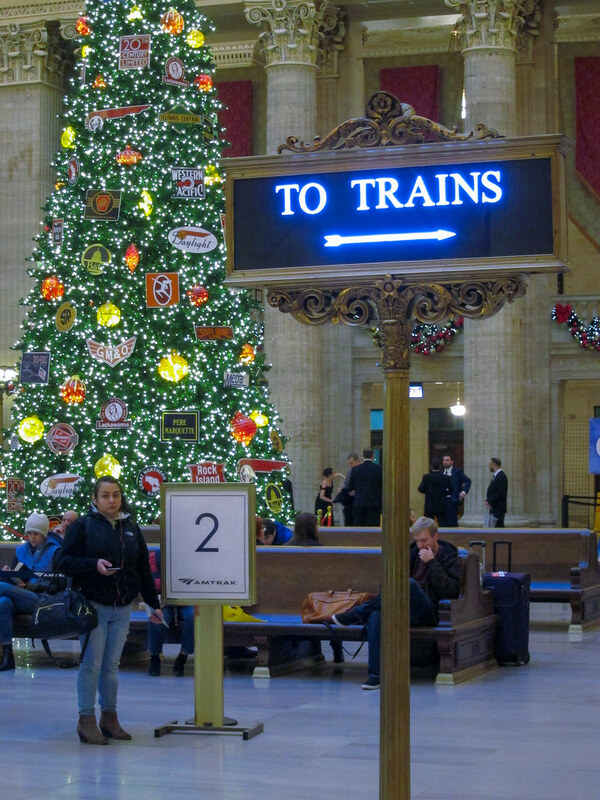 A couple weeks before Christmas, Margaret and I had another Chicago getaway weekend. 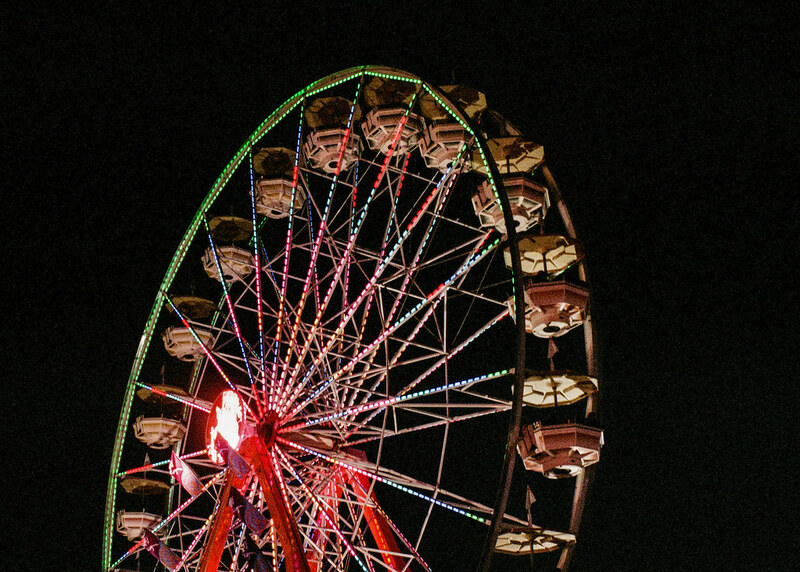 These weekends away are good for our spirits. We stayed in a boutique hotel on Randolph Street, four blocks from the former Marshall Field’s department store and two from the annual Christkindlmarkt. It was a perfect location. 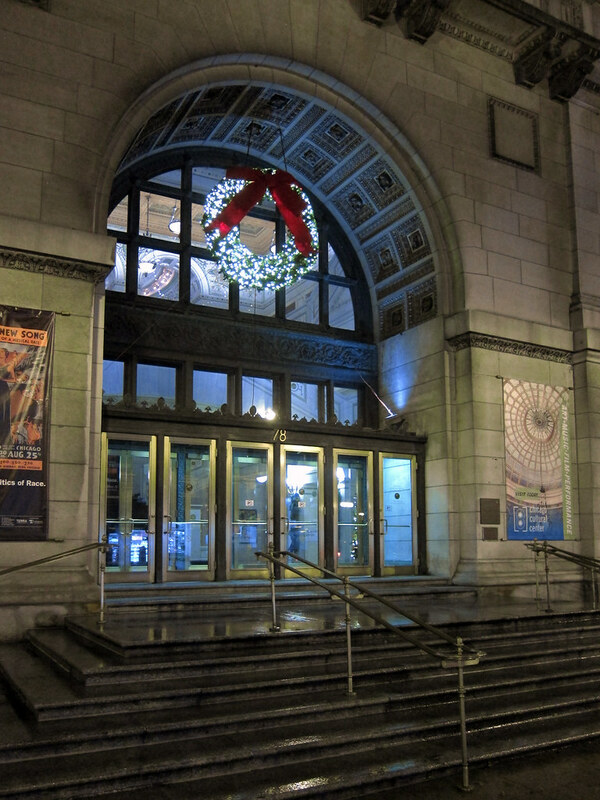 We saw the Nutcracker, put on by the Joffrey Ballet. Walking back to our hotel after the show, when we finally reached Randolph Street and Daley Plaza we were greeted by the trees all lit. 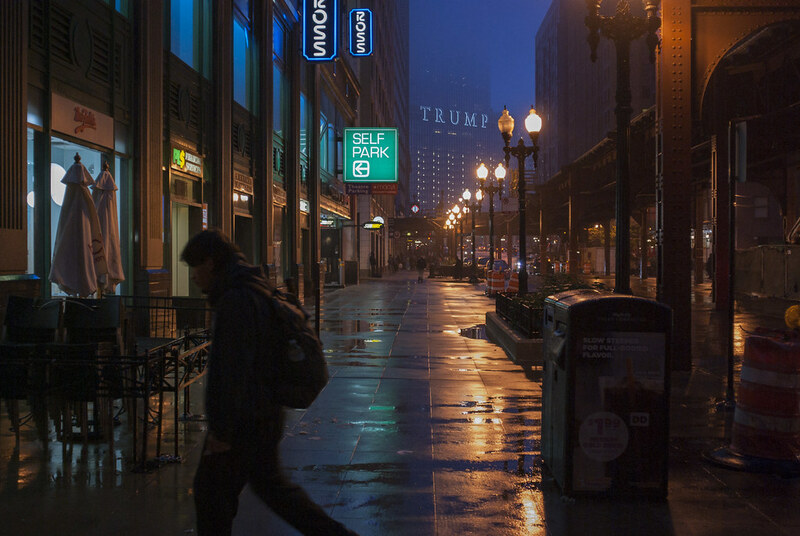 Walking along downtown Chicago’s Wabash Ave. at night, the Trump hotel across the Chicago River was impossible to ignore thanks to the giant letters on its face. It was an ominous presence on this misty night.